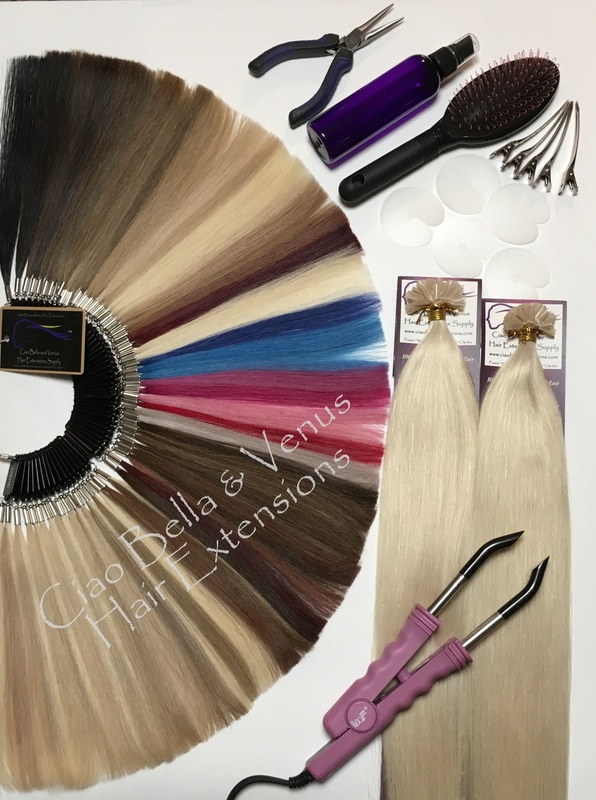 Includes all items shown and listed in photo: U-Tipped Heat Fusion Hair Extension Kit includes 2-Packages of Ciao Bella Best Quality 100% Human Remy Hair + Heat Fusion Application Tool + Hair Protector Shields + Color Swatch + Removal Solution 4 oz. + Removal Tool + Loop Bristle Brush + Metal Duckbill Clips + Salon Window Decal. Ciao Bella Hair is up to 2-times more hair per strand than most major hair brands.